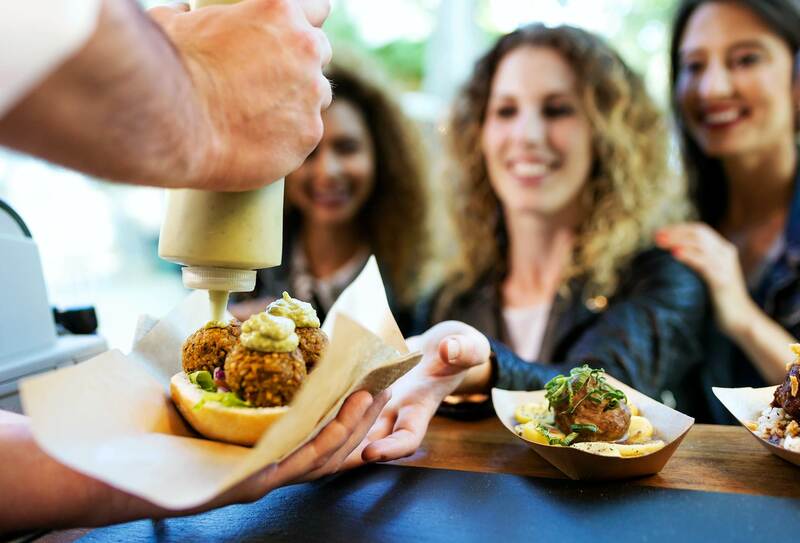 A vegan street food party featuring top foodie talent will take place in London on January 23. The event, which Extraveganza, is hosted by Street Feast in association with community kitchen Made in Hackney, and takes place at Dinerama near Old Street. It will feature 11 of London’s top traders, who will each produce two vegan dishes, one of which has been made exclusively for the evening. Among the traders will be Death By Pizza, Root & Coal, Chin Chin Labs, and Kinda Co.
“It’s an unmissable line-up that celebrates all globe-spanning interpretations of vegan cooking, from fine dining restaurants to stars of our street food arenas,” an event spokesperson told Plant Based News. “There’s a very special collaboration between Dinerama regulars Club Mexicana and Temper’s Neil Rankin, who together will conjure up a vegan version of his muchInstagrammed cheeseburger taco. In addition, Honest Burgers is appearing at a vegan event for the first time, serving the Beyond Meat patty. “Plus there’ll be our usual array of international street food, including Venezuelan arepa masters Petare, Chinese flavours from Phung Kay Vegan, What the Fattoush’s Palestinian mezze and Yum Bun’s steamed buns,” the spokesperson added. The event will take place at Dinerame in east London on January 23 from 5pm-late. Tickets cost £6 which includes a can of vegan beer or glass of vegan wine.